The speakroom is a small room in the monastery where cloistered religious can speak to those in the outside world. It is a space where the ways of God can be made known to others: secular and consecrated, young or old, near or far. The idea for the name occurred during conversations with cloistered nuns in speakrooms, from Philadelphia to the Philippines. The iron grate in the speakroom where Saint Teresa of Avila and Saint John of the Cross first met (above image) still carries the holy presence of these two great saints. Saint Teresa longed for a ‘new’ way of confronting a world that was ‘on fire.’ In this modern world, full of war and divisions, and where people are so isolated in many ways The Speakroom is a living, breathing space where anyone who has an open heart, particularly those who are interested in Carmelite spirituality, can learn and grow together. Posts will happen weekly, and around Carmelite Feast Days, and essentially follow the Church calendar. 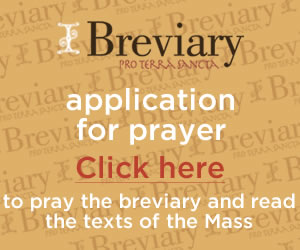 You can also follow the Carmelite Prayers Supplement for specific prayers and saints’ days. The Speakroom will include inspiration primarily from Discalced Carmelite friars, sisters, and seculars who are geographically close to Carmelite monasteries and communities. However, the work of the Holy Spirit should not be confined to those who are fortunate enough to have easy access to Carmelite-led masses, conferences, retreats, or pilgrimages. Therefore, the posts on this site have been transcribed and/or edited, by Secular Discalced Carmelites (OCDS) — for the benefit of the world. All the works on this website are Copyrighted by their respective authors. You are welcome to bookmark and link to the site, but please do not copy any of the materials. Many of the photos on this blog that are attributed to The Speakroom and OCDS photographers. The images come from various pilgrimages in Spain, Portugal, and The Holy Land. They will offer you a rare glimpse of original relics and paintings. I’m sure that the saints would love for you to share these images with others, but if you do so, please do your part in the work of the Holy Spirit, and link back to The Speakroom. Thank you! To make a tax-deductible donation to Prophet Elijah Media, please click the Donate button below. Prophet Elijah Media is a nonprofit organization, FEIN # 82-2200025.